Effective in January, author and publisher Vicki Lansky is retiring from Book Peddlers; her assistant, Dian Schwarze, is buying the company and will become publisher. Lansky will continue to be a consultant to Book Peddlers. Schwarze has been Lansky's assistant for seven years and been "an integral part" of Book Peddlers, Lansky said. Lansky, who has been involved in the book publishing industry for more than 40 years, founded Book Peddlers, which is distributed by PGW, in 1985. The company primarily publishes her books, which include Feed Me, I'm Yours and Baking Soda... over 500 Uses, as well as other parenting and household hints books. An Unlikely Story owner Jeff Kinney is addressing the need for more parking near his business in downtown Plainville, Mass., by purchasing a lot near the bookstore to create 56 additional parking spaces, Wicked Local Plainville reported. Planning board member Chris Yarworth said the construction "includes extensive landscaping and a clock tower at the road intersection. Hopefully, it will be an attractive and practical addition to the downtown." "The lot behind the bookstore accommodates our typical needs, but we need extra parking for author events, private functions for story time and other bookstore functions," Kinney, whose day job is writing the Wimpy Kid books, noted. "We also anticipate a need for additional parking for the holidays." He added that An Unlikely Story "is doing well, and the additional lot reflects our hope that we can support and grow the business." 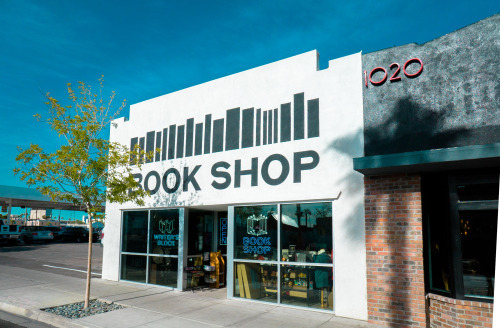 The Book Industry Charitable (Binc) Foundation is starting its year-end fundraising campaign, aiming to raise $10,000 in December to help bookstore employees with emergency expenses. So far this year, Binc has given $51,000 to 27 booksellers and their families to prevent homelessness, handle extreme medical bills, keep basic utilities running and assist a domestic violence victim. Binc has also provided 53 higher education scholarships and 12 professional development scholarships for booksellers attending Winter Institute, Children's Institute and regional booksellers association trade shows. Last May, Binc's Campaign to Sustain sought more renewing monthly contributions. "We have made good progress on our fundraising goals, but still have a ways to go to become sustainable," said Pam French, Binc executive director. "We are working to connect with publishers, bookstores and individuals throughout the industry as potential supporters. Every donation helps ensure the Foundation is able to continue helping booksellers." The start of Binc's December drive, dubbed Write the Next Chapter, falls today, Giving Tuesday. The Binc board of directors will match the first $3,500 in donations until December 15. To donate online, visit here. Along with many indie bookstores across the country, A Great Good Place for Books in Oakland, Calif., celebrated Small Business Saturday, a day that this year was especially poignant for owner Kathleen Caldwell. Saturday marked the 10th anniversary of her stepping into the role of proprietor after the sudden Thanksgiving weekend death of Debi Echlin, the perpetually smiling, raven-haired woman who thought so much of Caldwell's efforts to make the store a community cornerstone that she bequeathed the store to Caldwell. "Debi left me the greatest gift I never knew I wanted," said Caldwell. And by leaving the 1,800-square-foot store to Caldwell, Echlin hoped to endow the Montclair Village section of Oakland with a vital community anchor. 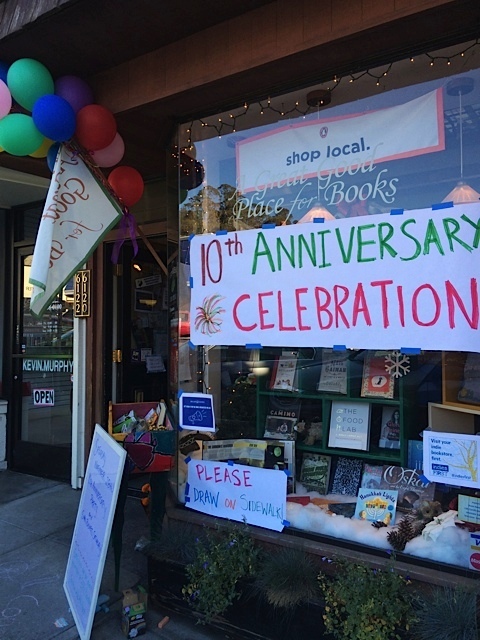 It has not always been easy for Caldwell--who rose from bookseller to owner overnight--but she decided to celebrate the decade of the store's success with the people who made it work--her staff and the community--with a daylong party in the store this past Saturday. All day, Bay Area book folk dropped by to celebrate and shop in what is now one of the most active independent bookstores in Northern California. Oakland city councilwoman Anne Campbell Washington visited with her husband, Glynn Washington, host of Snap Judgment on National Public Radio, and their children. Kathleen Caldwell (far left) with staff and family members. "She's a very unique bookseller," observed Ron Shoop, a rep for Penguin Random House. "Kathleen spends more time at the register than any owner I know." Being on-hand, Shoop explained, means that Caldwell is constantly interacting with everyone who comes into her shop. "She knows their children and their pets." Simon & Schuster rep Cheri Hickman recalled a meeting with Caldwell in the back of the store, when she observed teens handselling to each other. "It made sense, because that is what Kathleen does here, and so the kids were emulating that." "People seem devoted to her," said Deirdre Green, owner of local indie press Roaring Forties, on her first visit to a shop she had heard so much about. 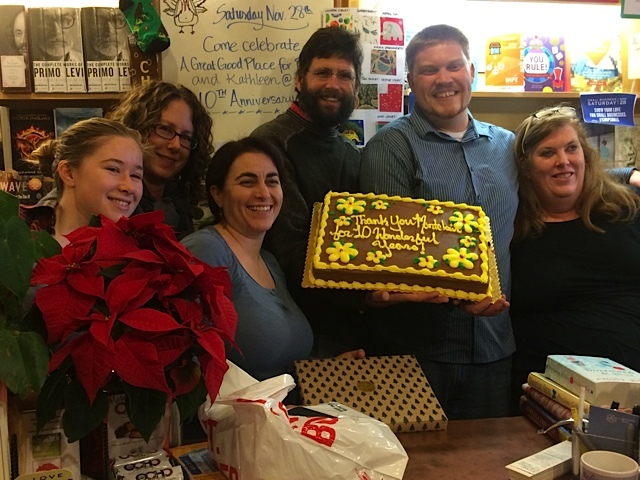 As if on cue, a customer told Caldwell that her family had changed their travel plans so that they could be at their favorite bookstore to celebrate the milestone. The American Booksellers Association has named 67 booksellers as winners of scholarships to the ABA's annual Winter Institute this coming January in Denver, Colo. Bookselling This Week reported that 58 are recipients of scholarships from WI11's publisher sponsors, covering the conference fee, up to four nights plus tax at the Sheraton Denver Downtown Hotel at the special ABA rate, and transportation costs up to $400. "The Winter Institute would not be possible without the generous contributions of our publisher sponsors," said ABA development officer Mark Nichols. "By enabling a record number of scholarship recipients to attend the event in 2016, publishers confirm their commitment to independent bookselling and we encourage all of our members to join us in thanking them for their ongoing support." Five ABA members were given scholarships by the Book Industry Charitable Foundation and three booksellers will be attending WI11 on scholarships honoring former ABA CEO Avin Mark Domnitz, who died earlier this year. Candlewick Press has again awarded a scholarship to a bookseller active in the Candlewick Handselling Indie Recognition Program. Bernard (Bernie) Tushaus, longtime co-owner with his wife, Jane, of Prairie Books & Gifts in Hastings, Neb., died October 21, Bookselling This Week reported. He was 70. 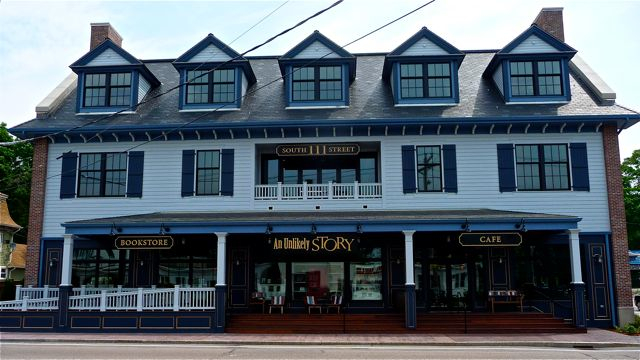 The couple bought their first bookstore, called the Book Shop, in 1976 and over the next two decades they "moved and renamed their bookstore several times. It was called the Shamrock, Prairie Books, and, finally, Prairie Books & Gifts, which opened in 1999 in downtown Hastings, where it has stayed ever since." In a recent letter to the American Booksellers Association, his son Michael paid tribute, writing: "I could not be more proud of him and my mom for all they have done with Prairie Books & Gifts. It truly has been a success that has stood the test of time." He concluded by saying that his father would want everyone to know that "he loved every minute of his bookselling career. And, my mother, Jane, and my sisters and I would like to assure everyone that the store will remain open for years to come." Christin Evans (l.), co-owner of The Booksmith in San Francisco, Calif., received the inaugural regional Small Business Advocate Award from the national advocacy group Small Business Majority. "It's crucial that lawmakers and the media hear directly from small business owners about what works and what doesn't for the small business community," said Rhea Aguinaldo (r.), Northern California outreach manager. "Christin Evans has been a powerful voice for small businesses on issues including healthcare and raising the minimum wage." Evans was featured in video testimonials and traveled to Washington, D.C., to meet with small business leaders and policymakers as part of SBM's annual Small Business Leadership Summit. In addition to books you offer imported toys, stationary, artificial bird adoption, writing workshops, and more. How would you define the Writer's Block? We represent a hub for the literary community here. By having Codex [the Writers' studio space] in the back, not only are we bringing in new readers of all ages, they have to come through a bookstore to get to the space. There's sort of a shared synchronicity of providing a space for readers and also supporting local writers. How is the Writer's Block different from the average bookstore? Coming out of my background of creating retail spaces that are unusual, like a superhero store or a time travel store, I wanted something that was creative yet a little more traditional. I often hear people say that this looks like everyone's dream of what an independent bookstore would look like. Then there are little germs of things that bring in that physicality I was talking about. There's a feeling of being in a barn and there's the letterpress and tools. I remember being a kid and playing with cookie-cutters, creating narratives, which is storytelling. So, we sell cookie-cutters. We try to incorporate little objects that have a narrative quality to them. We need to have our own personality to compete with Barnes & Noble and the chains. We want things that you can literally not get anywhere but in this store, and we like that because it adds to the experience. Some of our books you can buy at Target, but Target doesn't look like this or feel like this. 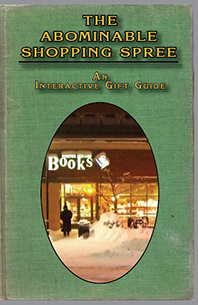 Porter Square Books, Cambridge, Mass., has put together an unusual holiday gift guide: rather than a list of recommendations, this is, said bookseller/marketing director/magazine buyer Josh Cook, "an interactive, choose-your-own adventure style book." "You wander over to the adult fiction section and overhear a young man in plaid shirt and square-framed glasses say something like 'empathetic presentation of the challenges of authenticity and otherness in our globalized, late-capitalist society,' which sounds exactly like something River would say right before you stop listening. You ask him if he has any recommendations for your literary reader. Here's what Josh recommends." After that is a short list; if the customer wants more recommendations, he or she can easily continue with Josh, who is "almost off-puttingly excited to share more books with you." From My Shelf Books & Gifts, Wellsboro, Pa.
Island Books, Mercer Island, Wash. Scout & Morgan Books, Cambridge, Minn. The Family Skeleton Series by Leigh Perry (Berkley), a trailer by the author about her skeletal detective, Sid, to the tune of "I Want Hippopotamus for Christmas." Today Show: Rich Wilkerson Jr., author of Sandcastle Kings: Meeting Jesus in a Spiritually Bankrupt World (Thomas Nelson, $16.99, 9780718032685). The Wendy Williams Show: Dita Von Teese, author of Your Beauty Mark (HarperCollins, $45, 9780060722715). Watch What Happens Live: Gloria Steinem, author of My Life on the Road (Random House, $28, 9780679456209). She will also appear on a repeat of Tavis Smiley. A "simple, magical little trailer" has been released for The Little Prince, "a star-studded Hollywood animated treatment" of Antoine de Saint-Exupéry's classic tale, io9 reported. The movie, directed by Mark Osborne (Kung Fu Panda), opens March 18 and features a voice cast that includes Jeff Bridges, Rachel McAdams, Paul Rudd, Marion Cotillard, James Franco, Benicio del Toro, Ricky Gervais, Bud Cort, Paul Giamatti, Albert Brooks and Mackenzie Foy. Universal Pictures has acquired screen rights to The Girl Before, a novel by J.P. Delaney that will be published next fall, and Ron Howard is attached to direct the film, Variety reported. Michael De Luca is producing with Imagine Entertainment's Brian Grazer, Howard and Erica Huggins. The National Geographic channel will team up with Mike Medavoy and Jason Clark to develop a scripted mini-series based on The Long Road Home: A Story of War and Family by Martha Raddatz. Deadline.com reported the series "will chronicle the events of April 4, 2004, a day that became known in military annals as 'Black Sunday,' when a newly-arrived Platoon from the First Cavalry Division in Fort Hood, Texas, was ambushed in Sadr City in Baghdad." Benjamin Myers and Richard Benson won the Portico Prize for Literature, which celebrates "the strong regional and literary identity of the North of England," the Bookseller reported. Myers took the fiction prize for Beastings, while Benson's The Valley was the nonfiction winner. Each author received £10,000 (about $15,065). Michel Faber won the £8,000 (about $12,035) Saltire Book of the Year award for The Book of Strange New Things, the Bookseller reported, noting that organizers praised the strength of the shortlist as "testament to the quality and scope of Scotland's rich literary scene." He was selected from the six book category winners of the Saltire Society Literary Awards. 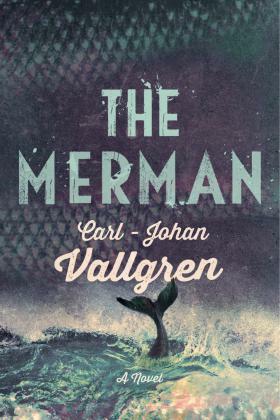 Carl-Johan Vallgren's The Merman, translated from the Swedish by Ellen Flynn, concerns the realistic and heartbreaking circumstances of teenaged Nella and her little brother, Robert; at the same time, it is a dark fairy tale about a mythical creature from the deep and the possibility of resisting evil. Nella and Robert's parents are terribly incompetent, uncaring people, more focused on drinking and crime than their children's welfare. Robert struggles with learning disabilities and is bullied at school; protecting him, getting him the glasses he needs, and his general well-being falls to his sister. Nella is hard-pressed to handle the responsibilities of the household, including cleaning up after her alcoholic mother, about whom she muses, "it was about as hard to judge her as it was to understand her." This mature and nuanced observation is typical of a girl who, despite her own troubles, seems drawn to others who need her help, such as a disabled man who is one of her few friends. When the neighborhood bullies begin to threaten Robert with violence, Nella turns to her only ally at school, a boy named Tommy. But contact with Tommy's brothers presents a new difficulty. They have pulled a mystical being from the ocean, whose otherworldly nature and wordless communication will change everything Nella understands about her life. All at once, Nella struggles with the bullies' extortion and Robert's fear; their father is released from prison and brings criminals home with him to disrupt their fragile household; their mother threatens to leave; and the sea creature looks to Nella for help. A burdened but strong and compassionate young woman, she will learn and grow through these tests, and wins the reader's heart by the time her story reaches the final, hard decisions. Shelf Talker: In this grown-up fairy tale, a young women's battles with poverty, violence and neglect are further complicated when a mystical creature enters her life.